Over the last 100 days one of my colleagues has been participated in the 100 Happy Days challenge, I have been watching her posts on instagram, wondering what this challenge was all about. She just launched a new challenge of her own and that gave me the motivation I needed to finally check out what this 100 Happy Days challenge was all about. Sounds simple enough, right? All they ask is that everyday for 100 days you submit a picture of something that makes you happy. Anything, anything at all, as long as it made you happy. 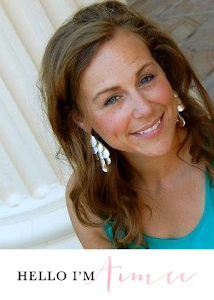 "We live in a time when super busy schedules have become something to boast about. While the speed of life increases, there is less and less time to enjoy the moment that you are in. The ability to appreciate the moment, the environment, and yourself in it, is the base for the bridge towards long term happiness for any human being." The other amazing thing, according to 100happydays.com, 71% of participants failed this challenge quoting lack of time. Crazy, right?! I love the idea of this challenge, and I would love it if anyone would like to join in on it with me. 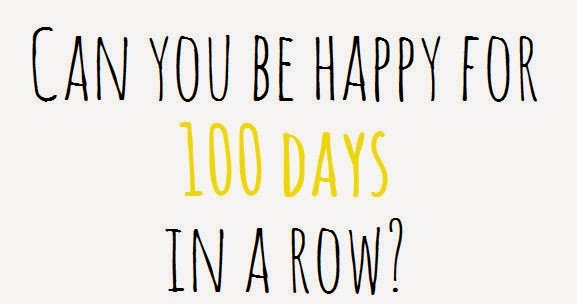 I am going to start June 1st, so if you would also like to start June 1st we can take on these 100 Happy Days together. Make sure to visit 100happydays.com to get all the details and register in the challenge. If you want to follow me along on my 100 happy days I will be sharing on instagram. Karly, I'd love to have you join me! I've been doing it and I am almost halfway done. I would think that I would fall into that 70% category but I don't because I make it a priority. And the priority isn't social media. The priority is highlighting to myself on even the worst days, there are happy moments. There is something about actually taking the picture that makes me meditate on it more as well.